Regardless of which research report you believe in, the current leaders in the premium TV market (i.e., screen size of at least 55 inches) are Samsung, LG, and Sony. According to research firm GfK, Samsung - the biggest TV maker in the world for the last 12 years - has a 40% market share of the premium segment. But this figure includes TVs that cost less than US$2,500. Take those away and IHS Markit argues that in 2017, it’s Sony and LG that are making the most money in this premium category, with a 36.9% and 33% revenue share respectively. If you’re looking for a common thread between Sony and LG, it’ll be that both sell OLED TVs. Since Samsung stopped investing in OLED TVs in 2015, global sales of OLED TVs, led by LG, have actually been growing steadily. 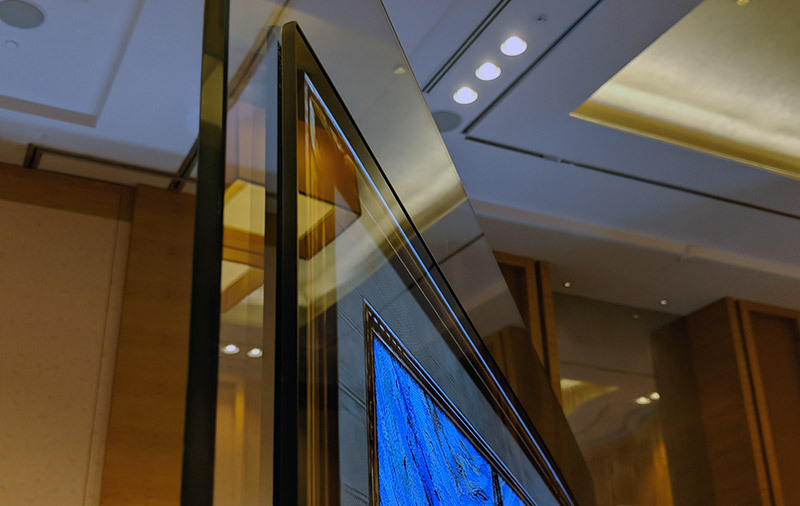 According to a June report by IHS Markit, OLED TVs sales have outpaced QLED TV sales in the past two quarters. If you were to drill down further, during this period, LG sold 864,000 OLED TVs, while Samsung sold 751,000 QLED TVs. And it’s against the backdrop of this premium TV war that I segue into my LG Signature W8PTA OLED TV review. What is the LG OLED W8PTA? 1.) α processor - LG has made a new processor for its 2018 TVs and has even given it a name: α (Alpha). There are actually two chips - α9 and α7 - with the former used primarily in the OLED TVs, including the W8. A key benefit of the α9 processor is that it allows the TV to do a four-step noise reduction process. There’s a new color correction algorithm that supposedly expands the reference color coordinates seven-fold compared to last year’s processor. 2.) 120fps HFR - LG’s 2018 OLED TVs support 120 frames per second (fps) high frame rate (HFR) for a smoother picture than what’s possible on 60fps sets. 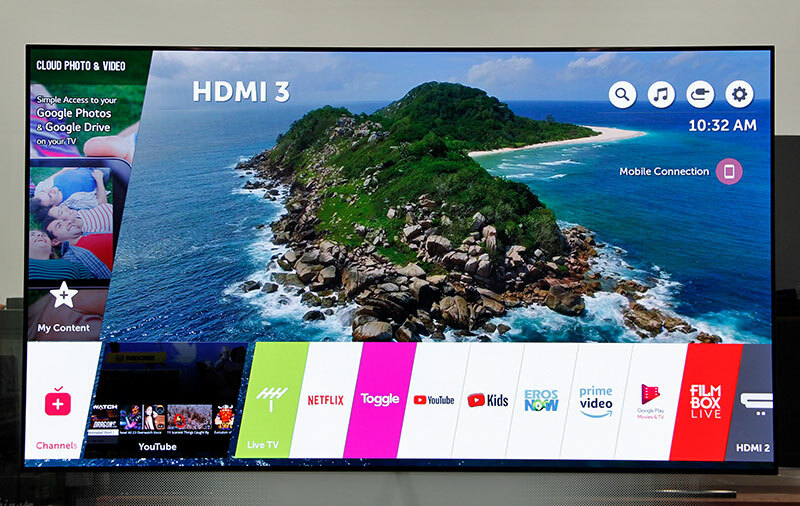 However, because the TVs don’t have HDMI 2.1, you can only get HDR (HEVC) content from the TVs’ built-in streaming apps instead of from external, HDMI-connected sources. 3.) “4K Cinema HDR” - The new OLED TVs continue to support many types of HDR formats, such as the baseline HDR10, Dolby Vision, Hybrid Log-Gamma (HLG), and Advanced HDR by Technicolor. 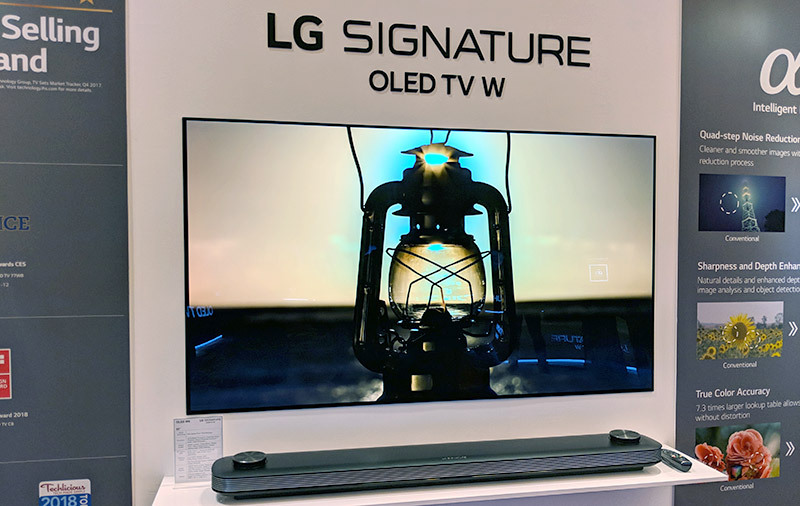 You may also see LG using words like “HDR10 Pro” and “HLG Pro” to describe their TVs - these are just marketing terms used to describe HDR content that have gone through on-device processing. For example, the TVs can take regular HDR10 signals and use proprietary algorithms to dynamically tone-map each frame to get better brightness and contrast. 4.) Dolby Atmos - The new OLED TVs again support Dolby Atmos object-based surround sound processing. 5.) 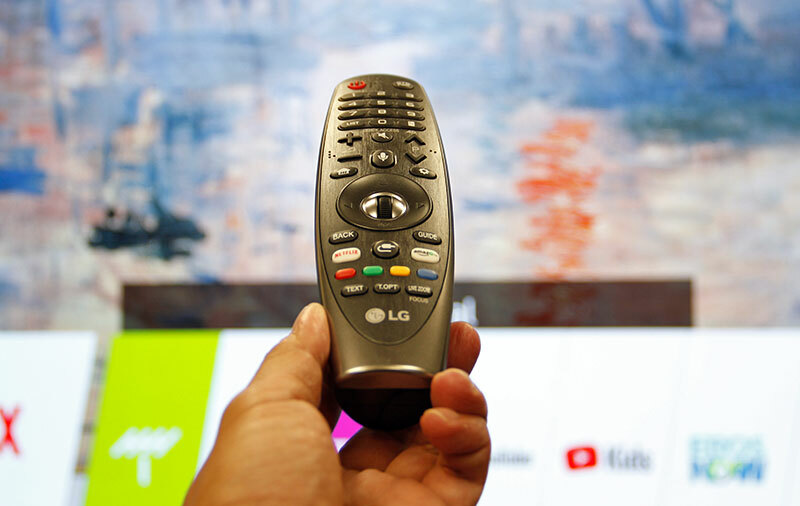 WebOS + ThinQ AI - LG’s TVs in the last few years were powered by WebOS, and the 2018 models are no different. With the newest WebOS 4.0, you still get a launch bar for easy access to apps such as Netflix, YouTube, Toggle, and features such as Miracast Overlay and Screen Share. 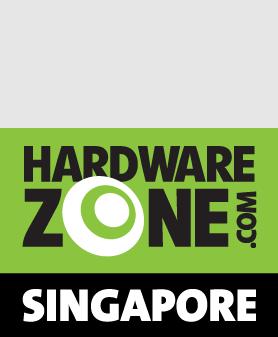 While we saw Google Assistant integration on the TVs at CES 2018, this integration is region specific, and right now it isn’t activated here in Singapore. The various LG folks I’ve spoken to all told me that the TVs are basically Assistant-ready, and they’re just waiting for Google to officially enable Assistant support on them. Read more: This is how artificial intelligence works on LG’s 2018 OLED and Super UHD TVs. 6.) 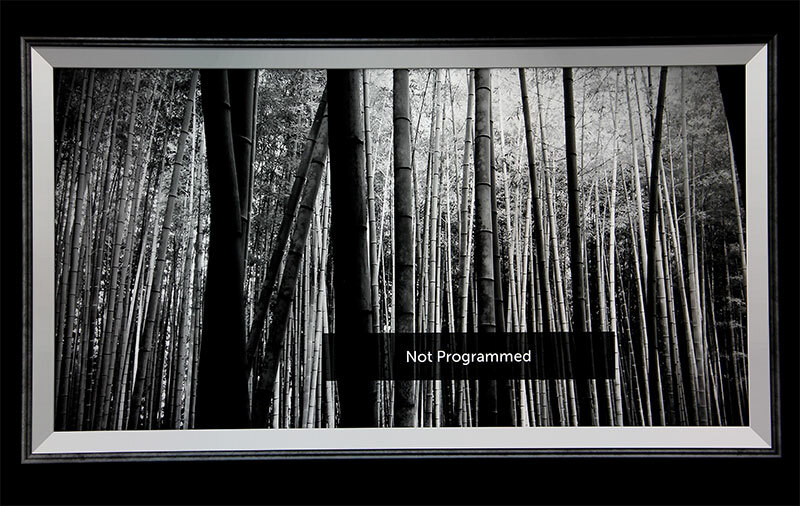 “Wallpaper TV” (W8) - Like last year’s W7, the W8 adopts a “picture on wall” design. You’ve to wall-mount it because it’s quite literally a sheet of OLED panel. 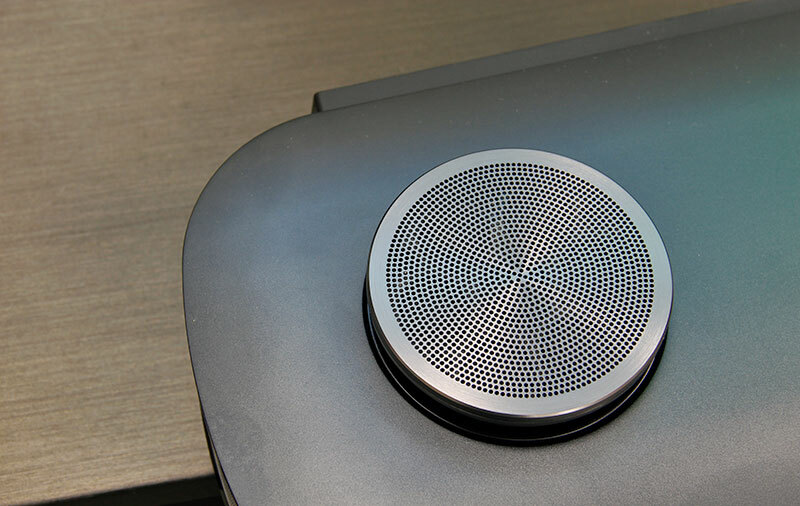 All the chips and ports are housed in a separate, Atmos-capable speaker bar (4.2-channel, 60W) that you connect to the TV with a flat ribbon cable.